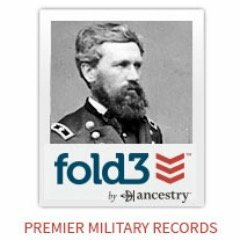 Fold3 is the web’s premier collection of original military records. It provides convenient access to military records, including the stories, photos, and personal documents of the men and women who served. Ancestry.com purchased Fold3 in 2010. Fold3 has announced that it has added new states to its WWII Draft Registration Cards collections. Fold3 has a collection of WWII Draft Registration Cards that has 9,008,864 records in it. It has a total of 21 states to the collection, and will continue to add more states as time goes on. States that have been newly added to the collections include: Alabama, Connecticut, Florida, Idaho, West Virginia, Utah, Alaska, Wyoming, and Virginia. The cards in Fold3’s WWII Draft Cards collections are registration cards for the draft, and do not necessarily indicate that the individual served in the military. First: Held on October 16, 1940 (before the United States entered WWII.) Men ages 21-36 were required to register at their local draft board. Second: Held on July 1, 1941 (prior to the American entrance into WWII.) This registration was required for men who had turned 21 since the previous registration date nine months earlier. Third: Held on February 16, 1942. The age range for men who were required to register for the draft had been changed. It was now for men ages 20-21 and also for men ages 35-44. Fourth: Held on April 27, 1942. This registration was required for men ages 45-64. The WWII Draft Registration cards that correspond to this draft period are not included in Fold3’s WWII Draft Registration Cards collections. They are in the WWII “Old Man’s Draft” Registration Cards collection. Fifth: Held on June 30, 1942. This registration was for men who were between the ages of 18 and 20. Sixth: Held on December 10-31, 1942. This registration was for men who had turned 18 since the fifth registration six months prior. Seventh: Held from November 16 to December 31, 1943. This registration was for men who were 18-44 who were living abroad. People who have an Ancestry.com All Access Subscription will have access to Ancestry.com, Fold3.com, Ancestry Academy, and a basic subscription to Newspapers.com. It is possible to get a 7-Day free trial at Fold3 if you would like to check it out before subscribing.